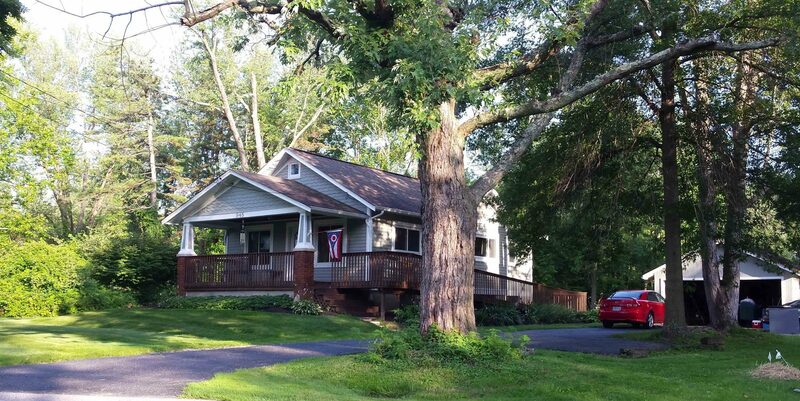 We rent our 2 bedroom, 1 bath handicap accessible home in a great, established area close to shopping, schools, and just 20 minutes from downtown Cincinnati. The house sits on approx. 1/2 acre lot with a partially fenced in back yard. The house has many up-dates including ceramic tile in the kitchen and bath, newer cabinets in the kitchen and newer appliances. Open Floor plan and hardwood floors throughout. The house also has plenty of storage in a partially finished attic. The home has a detached garage as well and a laundry area with washer and dryer hook-ups located in the basement. Our home is just minutes from Eastgate shopping and 275 and is in the NEW and improved West Clermont School District.